The Cover Up has officially moved! After this post, this blog will no longer be updated. 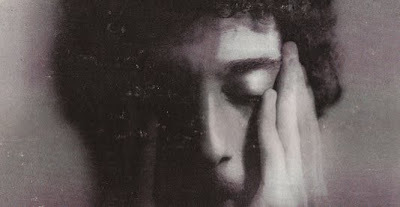 The address of the site is the same, but the RSS feed is now located at http://feeds.feedburner.com/the-cover-up. The new version of the site includes a tighter design, a working search, related posts in the sidebar, a tag cloud, Lightbox on all posts, improved audio embeds and some other additions. Be sure to check it out! New posts coming soon. I haven't posted much here for a month or so. I've been busy. But I did have a chance to put this relaxed mix together, featuring a few recent favorites. Take note of the track from Dela's Robert Glasper beat tape and The Roots track from their Dilla covers compilation. Also, rest in peace Nujabes and Steve Reid, both great artists. Oh, and props to the Freer & Sackler Galleries for their "In The Realm of the Buddha" exhibit. I didn't realize I wasn't supposed to take photos... I'll be putting together some more mixes soon. 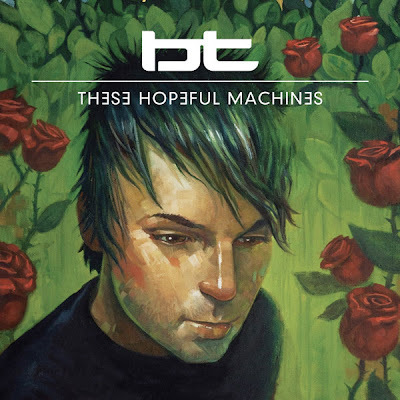 Illustrator Aaron Jasinski illustrated this amazing piece for popular electronic music artist BT's newest release. I've been following Jasinski's work for years through DeviantART, where he is somewhat of a celebrity. I agree with him that this is some of the best work he's done, taking advantage of the very long insert. You can see what it looks like in person on his blog. 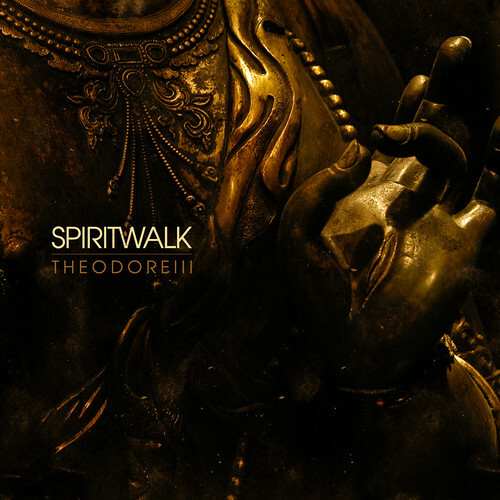 A fantastic piece all around, falling in line with much of his other music-inspired pieces (below). If I were at all a BT fan I'd pick this up immediately. How perfect is this cover for the upcoming Wu-Tang release? 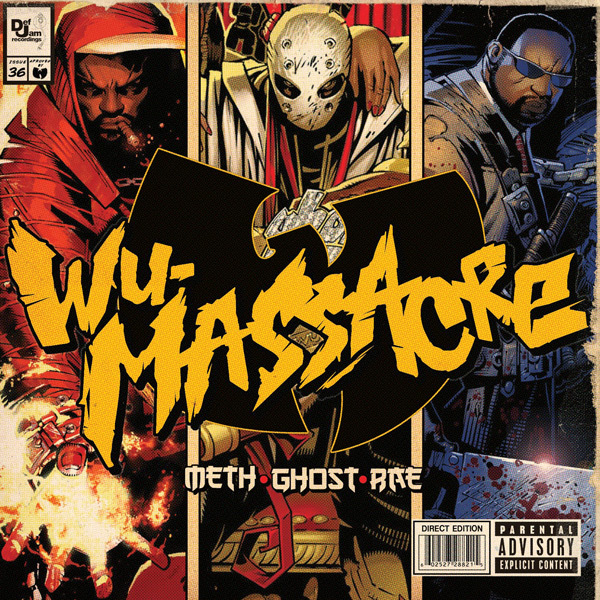 Wu-Massacre is a collaboration between Method Man, Ghostface and Raekwon finally set to be released on March 30th. It will also feature Wu-Tang affiliates RZA, Inspectah Deck, Cappadonna and others. 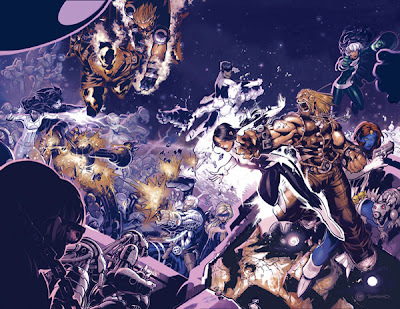 The artwork was handled by Chris Bachalo, a comic artist who's been in the industry since 1989, known for his exagerated, cartoon-like figures. 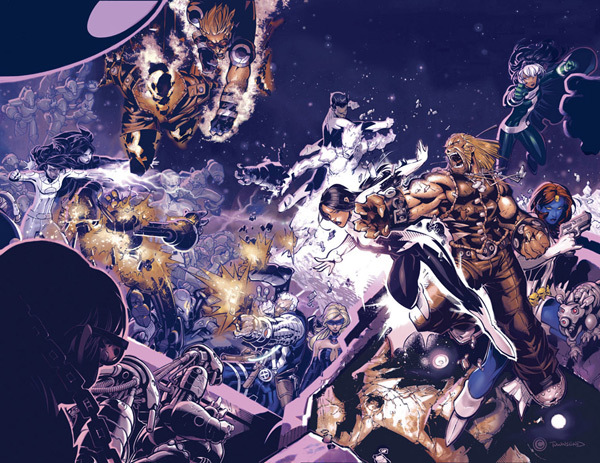 He has worked for both Marvel and DC, illustrating titles such as The Sandman, X-Men Unlimited and his own series Steampunk. 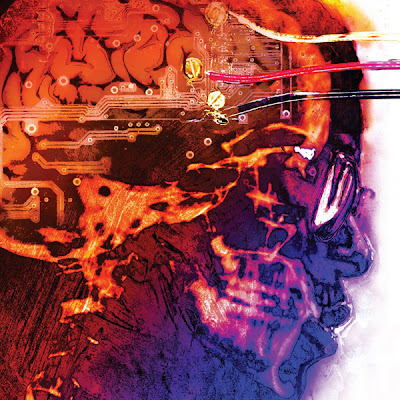 I suddenly feel like posting an entry on hip-hop album covers done by comic book artists. I can think of a few. If you have any suggestions, feel free to comment! 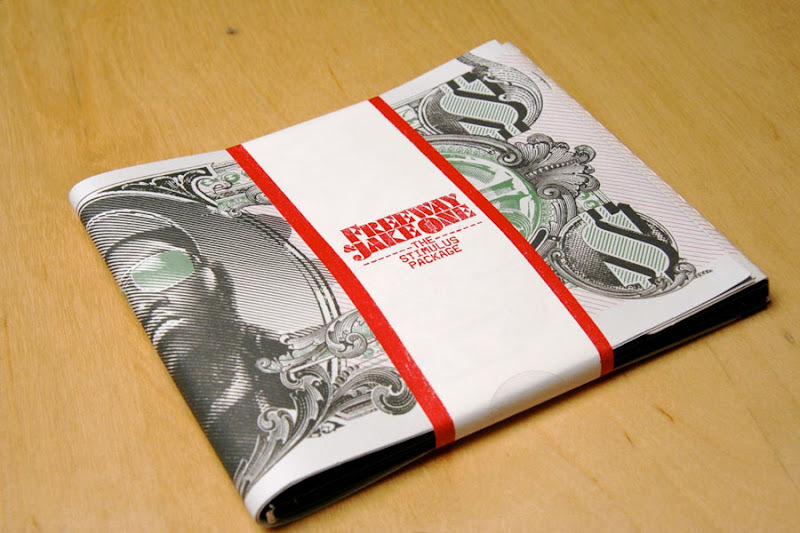 I was considering picking up Freeway and producer Jake One's new album on Rhymesayers, but after seeing this I have to buy it. Thanks to Mykola for pointing it out. 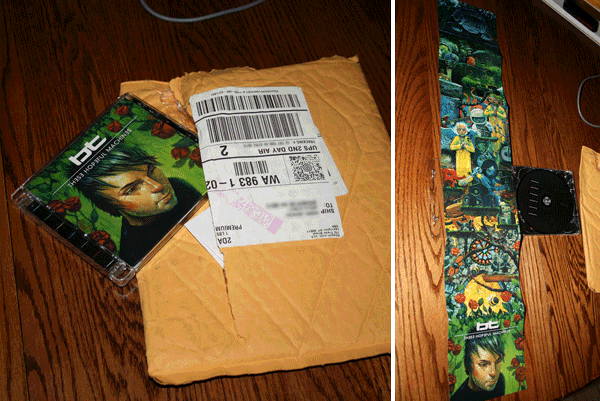 Rhymesayers has been doing well with the crazy packaging as of late. I can't post this without mentioning the designer, Brent Rollins. Rollins has had a hand in a number of albums in my collection, including classics like Black Star, Blackalicious' Nia, Latyrx and others. 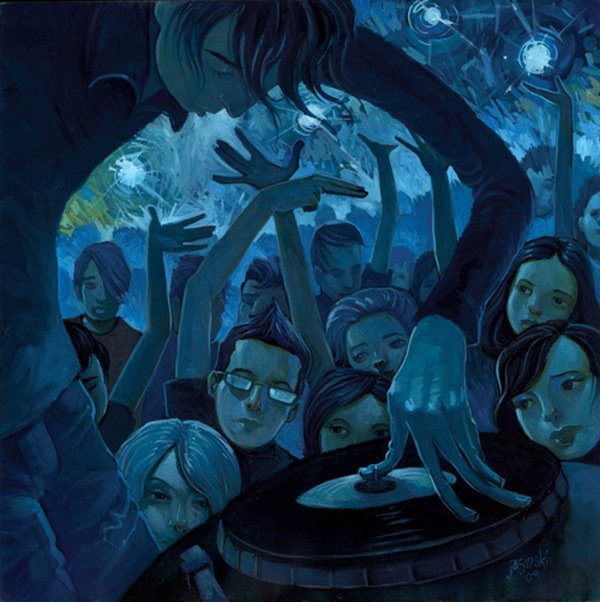 You can check out an entry I wrote on his work for Junk Science way back in '07. Just How BIG Is The Stimulus Package? I'll admit, Kid Cudi's music hasn't grown on me yet. I'm not exactly sure why. "Day 'n' Night" was cool. 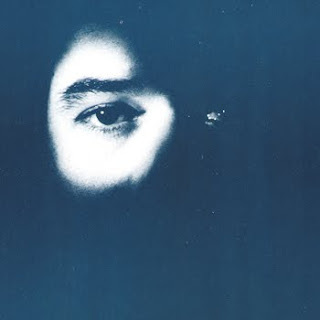 What he did with Nosaj Thing's instrumental was good. The Lady Gaga beat was nice. But the album never clicked for some reason. Either way, that isn't what this post is about. It's about the cover art! 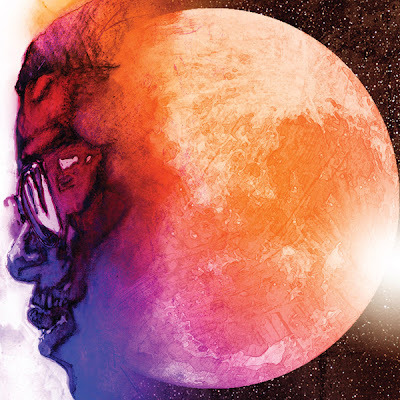 The artwork, Cudi's face against a vibrantly colored full moon, was illustrated by Bill Sienkiewicz, a Jersey-bred artist made popular by his innovative use of oil paints, collage and mimeograph in the 80's for Marvel and DC Comics. 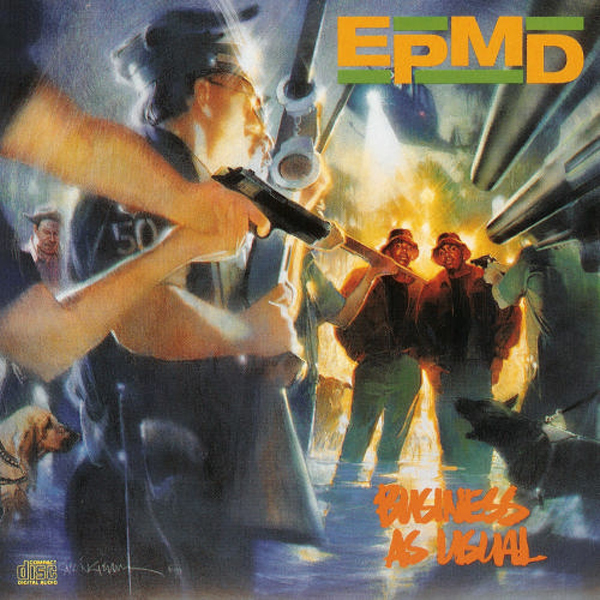 After a period of creating movie posters in the 90's, he was approached by Def Jam to make an album cover for EPMD's third release Business As Usual (above). 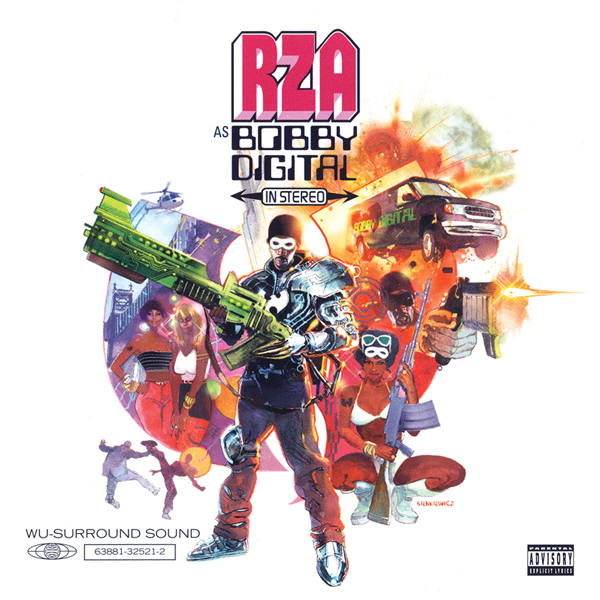 Later he was commissioned to create the art for RZA's first Bobby Digital album (above), using 70's-era Blaxploitation film posters as inspiration. 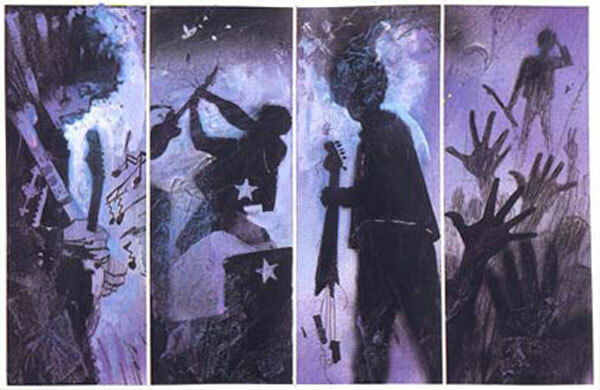 Also of note is his book Voodoo Child: The Illustrated Legend of Jimi Hendrix (below), an illustrated biography of Jimi Hendrix, written by Martin I. Green. 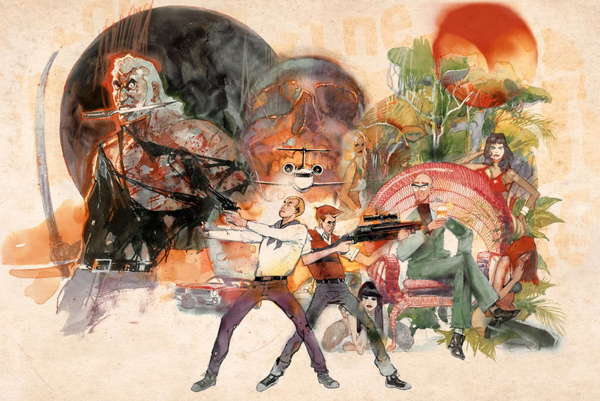 Oddly enough, the first time Sienkiewicz work caught my attention was after seeing his amazing paintings in the third Venture Brothers DVD release (below). Look at Brock. He totally just killed a bunch of guys. 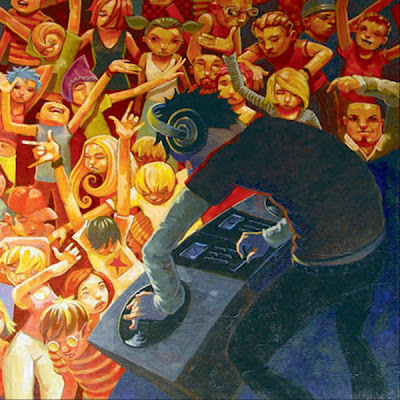 The Cover Up is an exploration of the relationship between music and visual art written by artist Theodore Taylor.
! Blogger's search function is currently broken. Some searches may not return results.